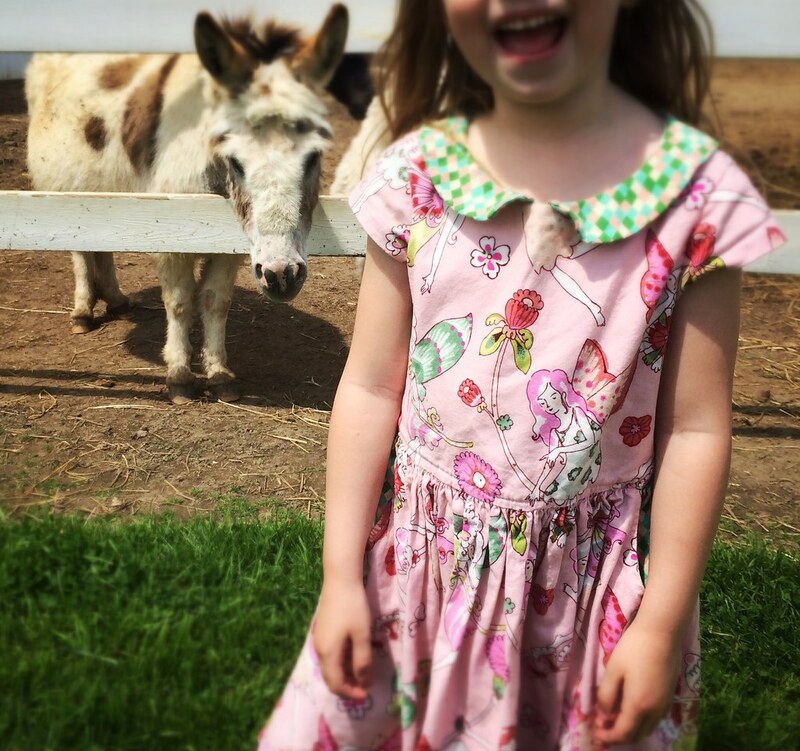 I got a chance to pattern test a little girl dress for Deborah Moebes of Whipstitch and of course I was like, yes, totally! 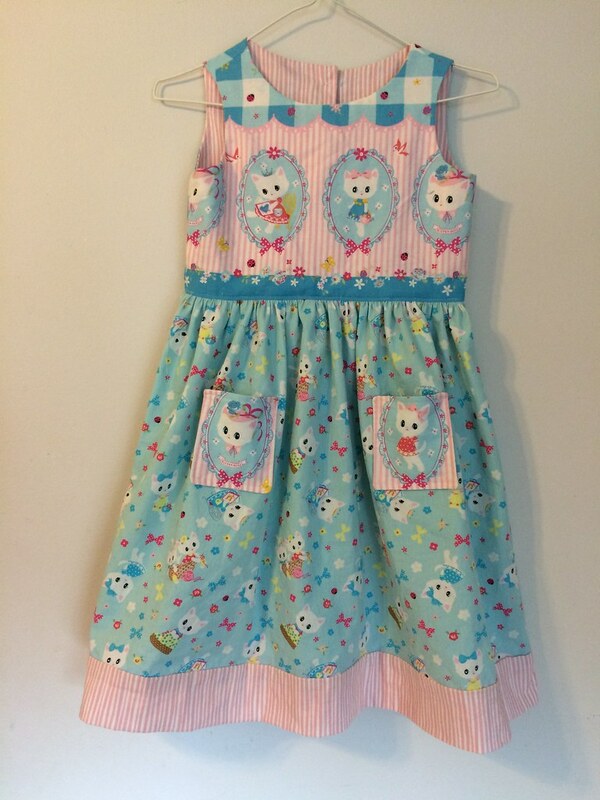 And I just happen to have a little girl who likes dresses handy. I also have a large stash of fabric, much of it bought with the vague thought that one day it should become a dress. 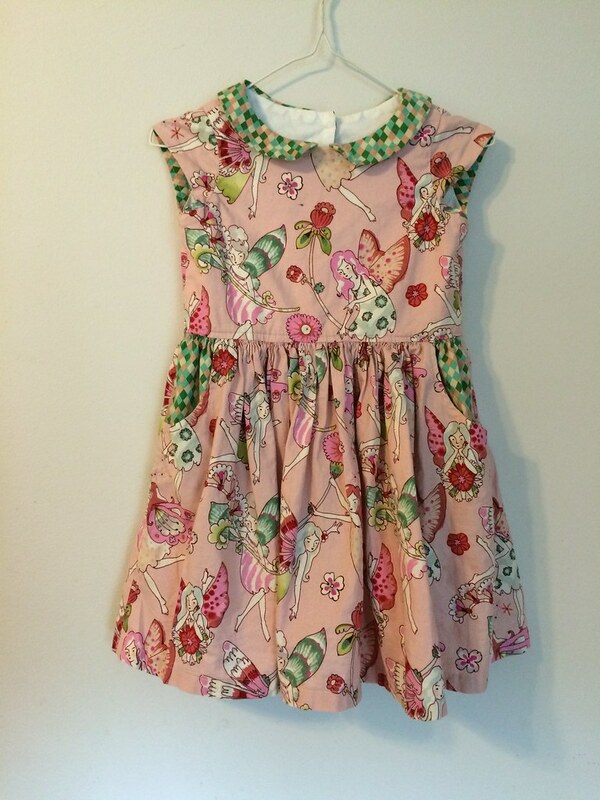 I really enjoyed making this dress, and the way it turned out, and then I made some more. 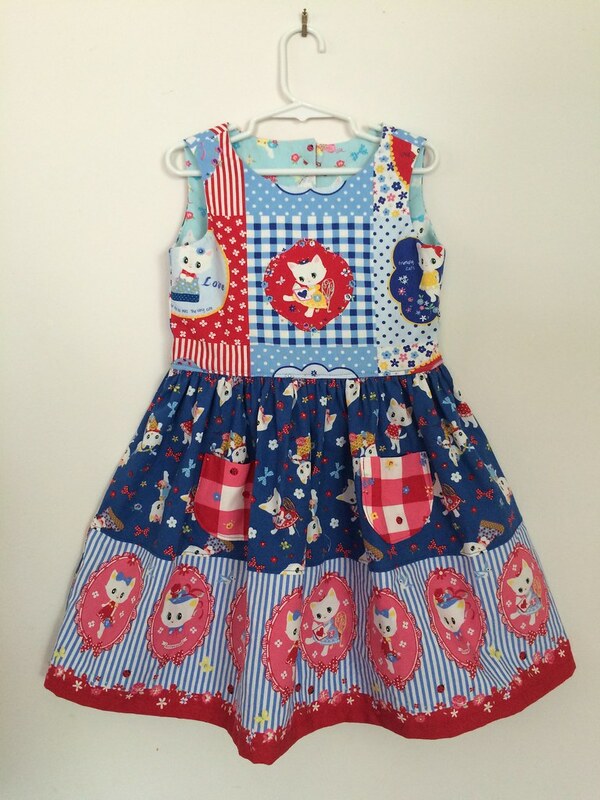 Employing some Japanese kitten fabric I was (am) obsessed with, called Kitten Doll Baby. Because what I really like about this pattern is the larger bodice (compared with, say, the Geranium) really allows you to feature some larger prints. 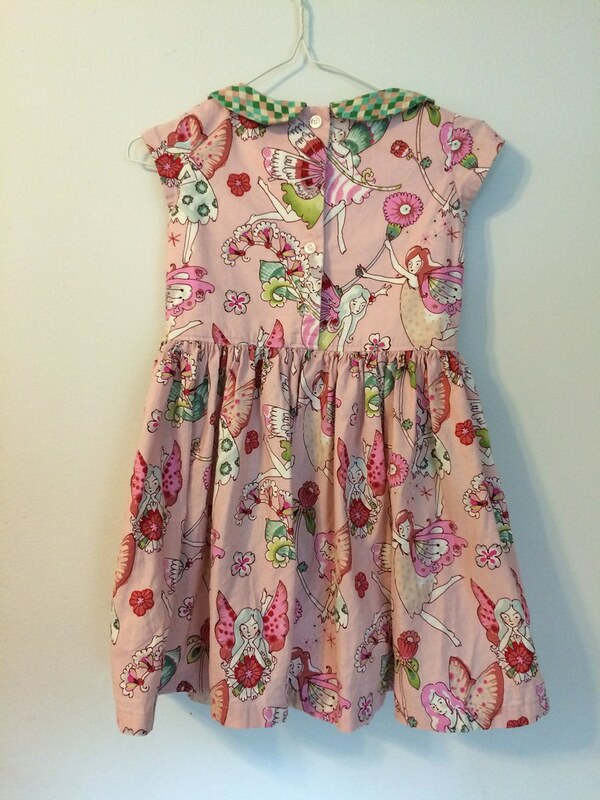 This is the cutest dress in the world, and I matched the pink stripe with a pink stripe in my stash. 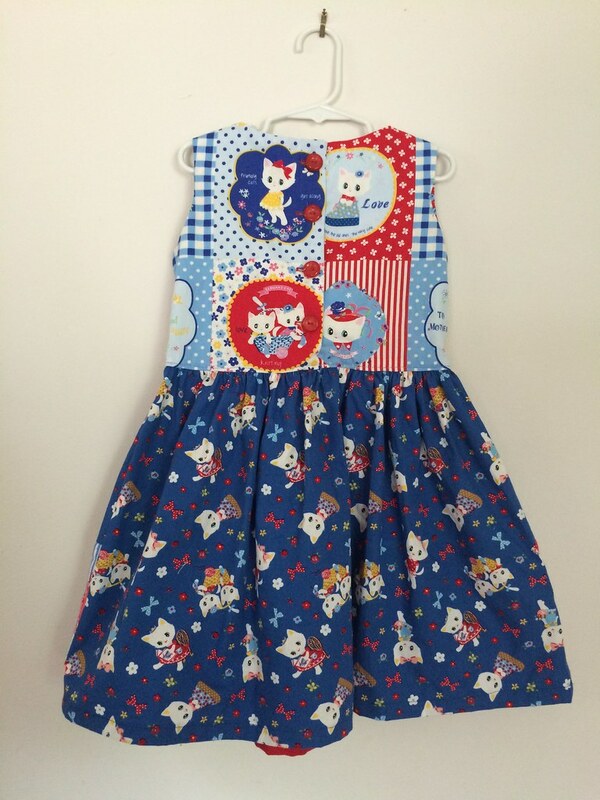 This border print made a fun bodice, while the other side became some rectangular pockets. The contrast stripe on the bottom I made using the burrito method (as for pillowcases), -I used a 6" piece of fabric for a 2.5" contrast stripe- and it worked fine, though there were moments turning it right side out where I questioned my sanity. The back of the bodice is the center of the border print. 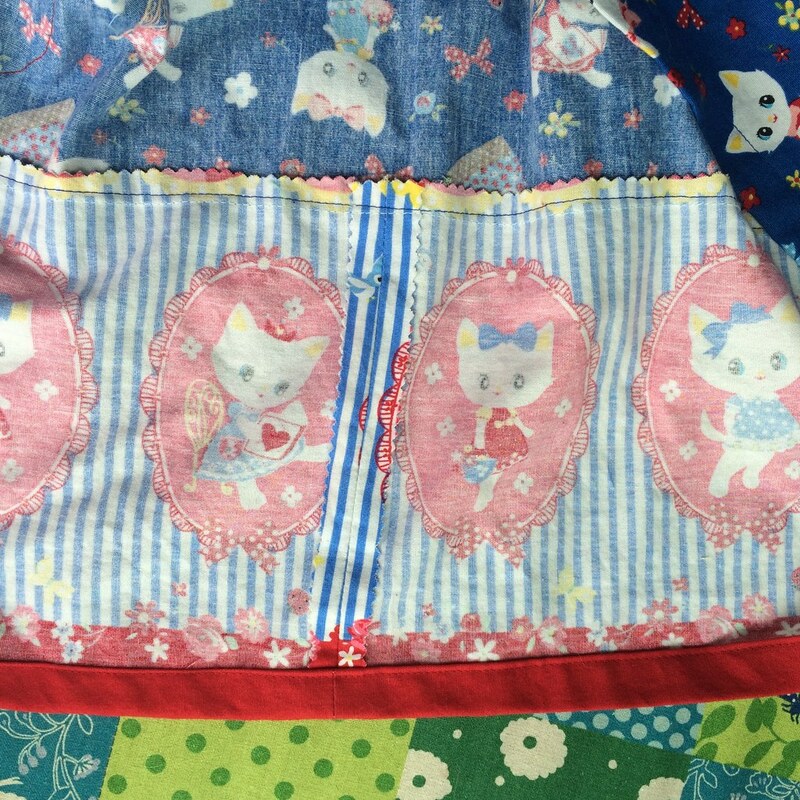 For this one, I sewed the two border prints together, because I only had a half yard of the border print (18" and I needed about 30" for the skirt), and sewed that to the toss to make up the length of the skirt. I didn't match up the kittens as well as I'd hoped, they are not exactly the same side to side, I discovered! Also, I didn't want to lose anyone, so we compromised. I did run another row of stitching at the horizontal join; I've made a dress with a contrast band before and it was a frequent visitor to the mending pile, until I wised up and reinforced it. 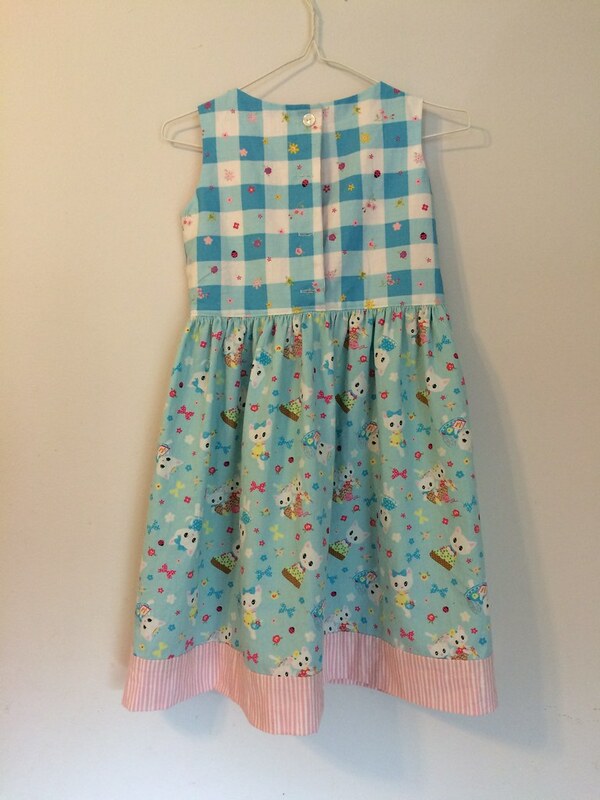 Will I be making more Flip Flop dresses? Absolutely. I may even try the buttons in the front one day. Wow, these dresses are amazing! I found your blog while searching for images of the flip flop dress, as I'm attempting one myself, and yours are the best out there! Please post more pics!